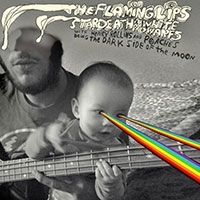 The Flaming Lips And Stardeath And White Dwarfs With Henry Rollins And Peaches Doing Dark Side Of The Moon is the 13th full-length studio album fromThe Flaming Lips. We sent it to you last Thursday. It is a track-for-track remake of Pink Floyd‘s 1973 album, but it’s a little bit different in a way only the Flaming Lips could pull off.